What kind of skiing interests you? When you decide to learn about skiing, you may be surprised to find that skiing has a long history. It hasn't always been about having fun in the snow. Skiing used to be about survival. In the timeline of skiing, the ancient Nordic people are believed to be the first people to ski. Their concern wasn't fresh powder; they were more concerned with hunting and getting around in the harsh weather. The oldest ski found to date is thought to be from between 2500 and 4500 B.C. It was discovered in Sweden. Today, two endurance races are held, in Sweden and in Norway. Each commemorates war heroes from long-ago times. Back then, it was about skiing to live during war times. Today, it is skiing to celebrate history. There are many kinds of skiing today which are enjoyed by many different people world-wide. Skiing can be recreational or competitive. Downhill skiing is typically divided into telemark and alpine skiing. There is also backcountry skiing, cross-country skiing and adaptive skiing. If you're the adventurous type, you might want to try Nordic jumping, kite skiing, heli-skiing or skijoring. Each has its own devoted following. One thing is certain, if you want to ski, whatever style interests you, learning about skiing is an essential first step. You should know the basics to assure you're doing it correctly. 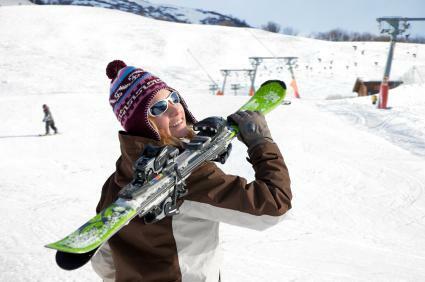 Learning skiing exercises is a wise move as well, to reduce your chances of getting hurt and increase your chances of having an incredible time. Skiing is very physical. You'll benefit by getting in shape first, taking a few lessons and learning all you can about skiing before you ever hit your first bunny slope.